A new social housing agreement brings some relief to Nunavik’s demand for more accommodation, the region’s leaders say. After years of negotiation, Nunavik leaders signed a new five-year tripartite housing agreement with the Quebec and federal governments in late May. The new agreement, which runs from now until 2022, provides for $25 million a year from the federal government towards the construction of social housing throughout the region, while the province covers the operating and maintenance costs. The contributions are adjusted for inflation and population increases each year between now and 2022. “Under this agreement, we’re able to build between 65 and 75 houses a year, depending on the number of bedrooms,” said Joë Lance, a Makivik Corp. representative who sits on the negotiation committee. Nunavik’s most recent housing survey shows the region needs another 813 units to accommodate its growing population, which is estimated to increase by about 110 families every year. Additional government funding is crucial for the region to try and keep up with its housing needs, Lance said—like the $50 million the federal government allotted for Nunavik housing in its 2016 budget. 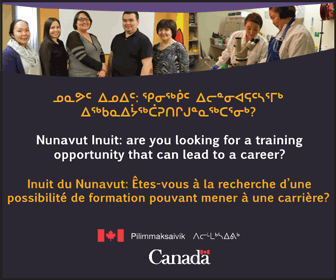 In 2019, for example, Nunavik will build 134 new units in seven different communities, thanks to $25 million in federal funds that’s in addition to the tripartite agreement. Similarly, Ottawa’s 2018 budget included a $400-million Inuit-specific housing plan for Nunavik, Nunatsiavut and the Inuvialuit regions, though Lance said the parties are still in discussion over how much of that will reach Nunavik and when. The new housing agreement brings some stability to the region and allows Makivik Corp.—which manages the federal contribution and oversees construction through its non-profit division—to plan ahead and order materials by sealift. The agreement also provides for the function of the Kativik Region Housing Committee, which includes representatives from both levels of government, as well as the Kativik Regional Government, Makivik and the Kativik Municipal Housing Bureau. 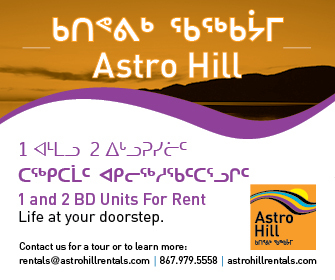 Its role is to advise and assist parties in implementing the agreement, ensure that housing constructed by Makivik is good quality, and promote construction jobs and skills training among Inuit. The housing committee will evaluate the agreement by Dec. 31, 2020, and make recommendations on a new one, with the hope of renewing the agreement by September 2021. Although Nunavik has had a long-term, tripartite agreement for housing in place since 2000, negotiations for the renewal of that agreement have been strained in recent years. 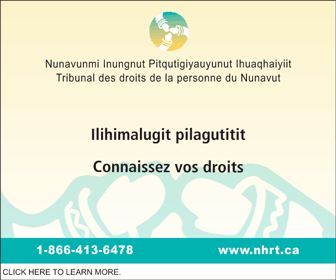 Unable to reach a new five-year agreement since its 2010-15 agreement expired, Nunavik had signed on to temporary one-year extensions to buy more negotiating time. Lance said Nunavik is also in discussions with both levels of government about options for alternatives to the social housing units most Nunavimmiut live in. For the time being, however, the housing demand and backlog are still too great to put energy into launching new programs. “For the short term, it’s still social housing we’re focused on,” he said. Quebec’s 2018 budget also invested $15.9 million into a program to help Nunavimmiut with the purchase and construction of 45 private housing units over a five-year period.